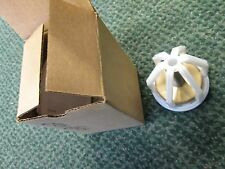 Watts Repair Kit RK 007 CK1 11/2-2. Automatic reseating combination type temperature and pressure relief valve. PSI Set : 125. 3/4" MIP x 3/4" FIP.................B18X. MADE BY JFW. DC TO 4 GHZ. CHECKED GOOD. 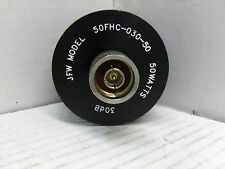 MODEL 50FHC-03--50. 50 WATT 30 dB ATTENUATOR. For sale is a BIRD 8329-300 TENULINE COAXIAL ATTENUATOR 30 dB 2000 WATTS as is. Watts regulator in excellent condition. NEW SURPLUS IN OPENED FACTORY PACKAGE/BOX ----- 03/17/PNB. 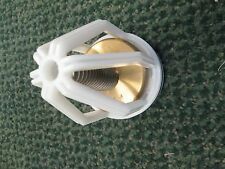 Watts Regulator EDP 0035010 HB-1 Brass Hose Bibb Boiler Drains 1/2 x 3/4 in. Watts Regulator EDP 0035010 HB-1 1/2 x 3/4 in Brass Hose Bibb Boiler Drains WITH VACUUM BREAKER. EDP# 0035010 1/2" HB-1 ( BOX 36H). Manufacturer: Frizlen. This does not apply to machines sold “as is” or “subject to inspection.”. Every effort is made to note any missing hardware / manuals / inserts from NIB and NEW products; however, in most cases it is not known what was originally included. 2400 Watts. Contour Projector. Model # 30-827. Ballast Load: 20A. Incandescent Load: 13A. Motor Load: 1HP. your account number during checkout. If you do not have an account No Worries! More Information Office Hours SKU# SB-095108. UPC: 683194563508. EAN: 0683194563508. GTIN: 00683194563508. This makes the import process very simple. For "refurbished" & "used" products, they are typically serviced, tested, cleaned, and ready to use (unless otherwise noted). The Newport 818T-10 is a thermal optical detector with spectral range of 250-11000 nm with maximum power of 10 Watts. 1- Newport 1835-C.
Incandescent bulb 300 Watts. Medium base. Crystal clear. For 120V / 130V AC operation. Made in USA........................B52/81X. Manif 1-1/4 TRUNK x 3/4 Bran, Sol Watts RadiantType L copper, (12) BRAND NEW! Enhancing the vision of their goals with our products. 1RK 009M2-CK2. Series 009. Watts Repair Kit. Compatible with most load types; three selectable dimming curves for each load. 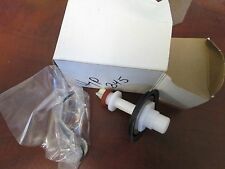 You are buying (1) Watts Fluid Air R119-04C Regulator 1 Year Warranty. We have no responsibilities or liabilities for manufacture, installation or use of these products. Office hours. SHELF 51-1220(1) . The color of the photo may vary from the actual product due to translation and reproduction limitations of photography. For Type 3R,4,12,13 Enclosures. Input 36 Watts. Condition Unknown. Farmon I.D. 450306. Item has scratches and markings along the surface as shown in pictures. Price is for one lot of two. Milpitas, CA 95035. 562 South Milpitas Blvd. Farmon Inc. Whenever necessary. You are buying (1) NEW! We take credit cards -1 YEAR WARRANTY. We have no responsibilities or liabilities for manufacture, installation or use of these products. 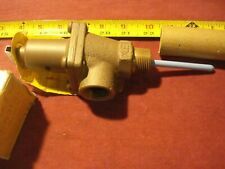 Mac Solenoid Valve 181B-501BAAA 24VDC 6.0Watts. Solenoid Valve. 10/25/12 Nick. AA Length of Wire. BA Flying leads. 1 Non Locking Recessed. 50 24VDC/6 watts. B Revision Level. Manufacture: Watts Fluidair. Type: Regulator. Freight can be arranged by either our staff or the purchasing party. We are simply trying to get you all of the info that we can regarding the subject piece. We do not warrant the unit is suitable for any specific use. If we didn't describe it, it isn't implied. We will be glad to quote freight to you.